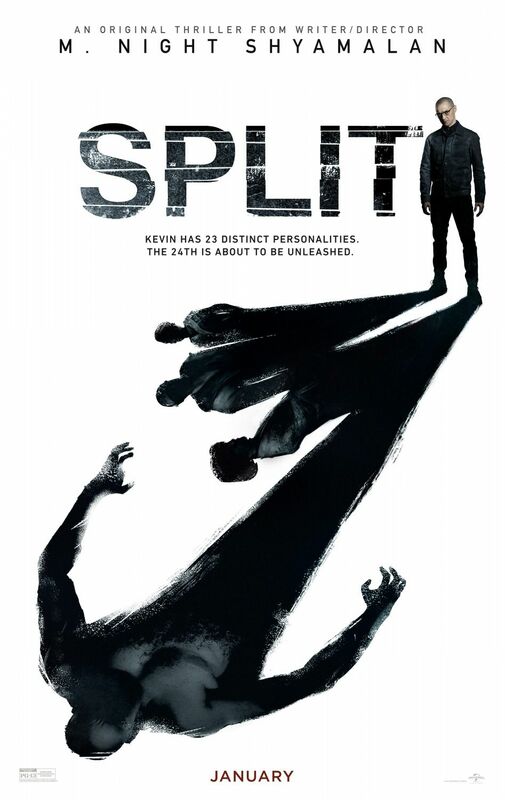 Split is a movie you don’t see coming. It is a high concept film which if handled badly could have been camp and trashy. Here it is handled with seriousness and the movie plays out as a tense horror and one which will keep you on the edge of your seat from the tense opening to the amazing reveal at it’s finale. 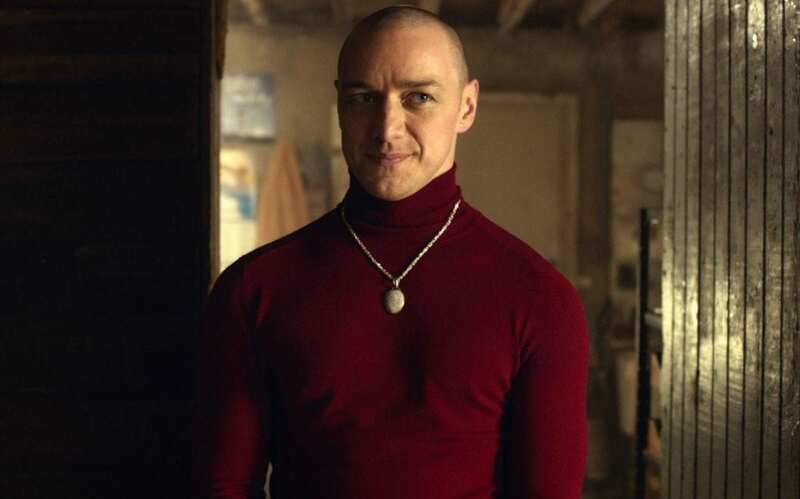 Split relies purely on an impressive, heavyweight performance from James McAvoy. It is his responsibility to play the split-personalities of the title and he does so incredibly. You can see the difference between the personalities, even without some of the costume changes to help the transition, and with so many variations on the same character, you are never sure who you are going to get and what is going to happen next. Every time McAvoy is on-screen it is tense and terrifying. It is also testament to McAvoy that you forget he is the same actor playing multiple roles. McAvoy plays approximately nine different on-screen roles and each are distinctly different. You lose yourself in his acting and find yourself believing these personalities to be completely different people. There is a scene where a character finds video-clips of every alter-ego and you want her to keep clicking to see the different people this one personality shares. This is also a double-header though and to counter McAvoy is the “heroine” of the movie. Anya Taylor-Joy is the reluctant hero as she steps-up to confront and manipulate her way out of the captivity she has found herself part of. This is the other aspect which will keep you on the edge of the seat as her repeated attempts to escape, each more risky and elaborate than the last, start to unravel around her. It all builds to a finale which delivers on it’s promise. Warnings abound and the audience is never sure whether the promise of the final personality is actually real or not. The way it plays out is excellent and it changes the film from a tense, slow-build horror to an action-filled escape thriller as McAvoy embodies an even more terrifying character to end it all. The deft handling of such a complicated tale is credit to director M Night Shyamalan. This is the Shyamalan of old, that brought us tense thrillers like Sixth Sense, Signs and Unbreakable. Here he has stripped away the story-telling to the bare, simple mechanics and lost some of the silliness that plagued his more recent movies. 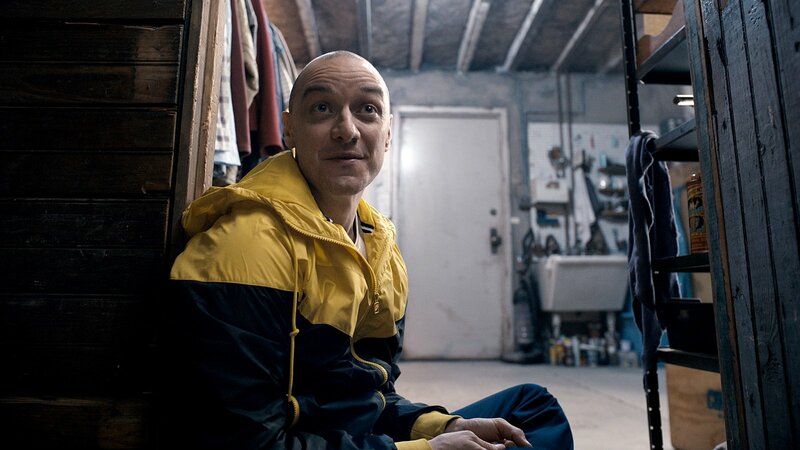 But what of the Shyamalan signature “twist?” Split is a movie which works without any such story-telling device or audience swerve. Not that the film isn’t without it’s surprise and this one is a corker! 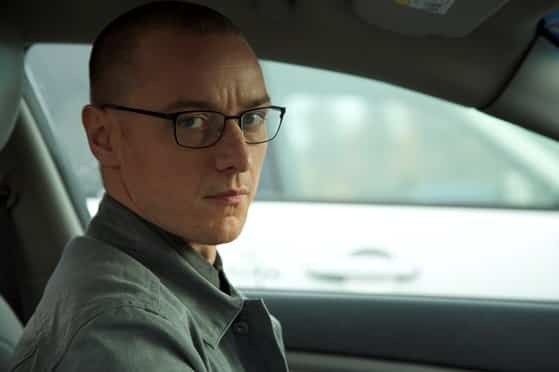 Overall, Split is a McAvoy acting masterclass. It is a tense horror/thriller which doesn’t ease up on the relenting sense of doom. It is well-handled with such a potentially silly concept and sees Shyamalan return to form.